Sell Your Property for More! This custom-designed lifestyle home on a lush, leafy quarter-acre block, located in the exclusive gated Vantage enclave, boasts an inspired layout offering excellent separation of living, as well as expansive communal space for family-time and entertaining. Over three levels, with each level actually having direct external access; the home is complete with four bedrooms, two bathrooms, premium central kitchen, two separate living areas, east-facing extremely private alfresco entertaining, in-ground pool with timber decking, and double lock up garage with onsite parking for visitors. Presentation is pristine, and features include both ducted and split system air-conditioning, 900mm oven with gas cooktop, two-drawer dishwasher, stone benches, walk-in pantry, 2.7m high ceilings in main living area, louvre windows to filter breezes, separate bath and shower in main bathroom, dual vanities in ensuite, quality flooring, generous storage, and a flat north facing child/pet friendly grassy backyard. 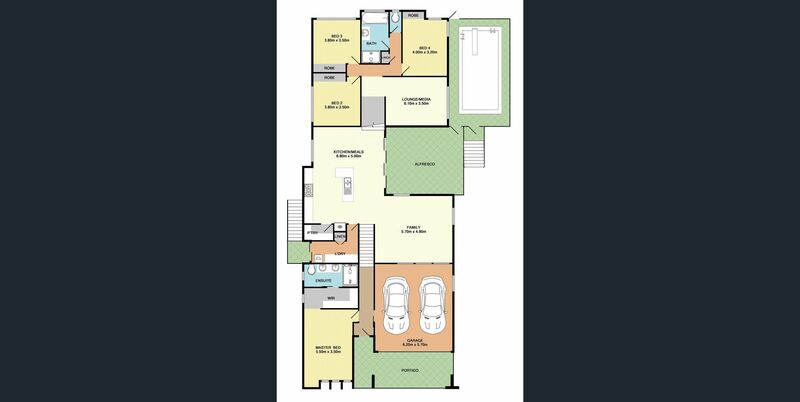 The floorplan is absolutely ideal for the parents with teenage or grown-up children still living at home, with the upper level housing three of the bedrooms, media room and bathroom; the master retreat is on the ground level. It could also suit the lifestyle-driven baby boomer looking for an elegant low maintenance property to lock and leave that can accommodate guests in comfort and style, including their children and grandchildren. Framed by well established dense tropical vegetation, privacy is premium and there is minimal work needing to be done in gardens; it has a very sanctuary-like Queensland ambience…one could almost be in Port Douglas, it feels very lush and exclusive. Located just a few minutes to the stunning coastline stretching from Yaroomba Beach through to Coolum, and only 5-minute drive to Coolum’s many amenities including schools, dining, supermarkets, retail and commercial facilities, sporting grounds, surf club, medical centres and more; plus less than 10 minutes to the Sunshine Coast Airport, undergoing a multi-million dollar expansion – the location is prime. Offering lifestyle, privacy, design excellence, security, and impeccable style…this is outstanding. Whilst all due diligence has been taken in the preparation of this document Wright Place can attach no guarantee regarding the contents and recommend purchasers conduct their own enquiries. “Wow!! We have known Karine for some time and have always found her excellent at her craft. She has great integrity, credibility, work ethos and is punctual and communicates very effectively. We have and would recommend her to anyone requiring an agent for buying or selling property. Wright Place Mount Coolum Copyright 2018. 3B/2 Suncoast Beach Drive, Mount Coolum QLD 4573.